Imam Safwan Eid was born and Raised in Quincy, Massachusetts. His Parents immigrated to the United States from Lebanon in 1982 fleeing civil strife and war. Born 10 years later, what Imam Safwan could not flee was his destiny. Even as a graduate of the University of Massachusetts with a double major in Economics and Woman & Gender Studies he rose to prominence in the Boston Muslim community being recognized for his insightful wisdom, authentic knowledge and powerful eloquence. 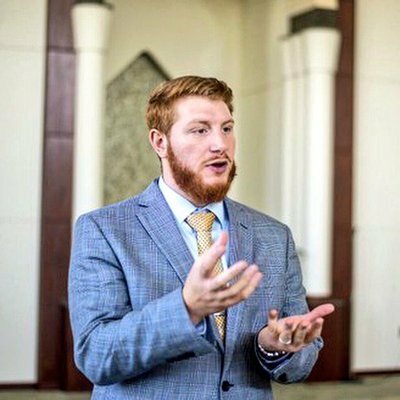 Being an Imam seemed to be in this young man’s blood, as a child he deeply admired his father Dr. Imam Talal Eid, a world renowned Theologian graduating from Al Azhar University in Cairo, Egypt and Harvard University as well as being the first Imam to serve this country as a United States diplomat. Imam Safwan followed his father around from mosques to churches to synagogues, witnessing first hand, excellence in faith and leadership from a tender age. During his college years he studied intensely under Imam Talal as well as being influenced by the likes of Imam Suhaib Webb, Imam Suheil Laher, Imam Khalid Nasr and Imam Yasir Fahmy. Under Imam Suhaib Webb, he served as the Youth Director of the Islamic Society of Boston cultural center, in the heart of Roxbury working with children and teenagers of all different racial, religious and socio-economic backgrounds in the stepping grounds of Malcolm X and Louis Farrakhan at temple number 11 now known as Masjid Al Quran. Later he went on to be the Executive Director and Imam of the Islamic Institute of Boston, before leaving his hometown with his wife Sima Janoudi and daughter Maryam, to come to Saginaw and serve as the Imam of The Islamic Center of Saginaw. Imam Robert Abdul Shaheed is the Imam /Director of the religious affairs at the Islamic Center of Saginaw since 1986. Previously Imam Shaheed served the Muslim community as Secretary/Treasurer from 1978 to 1986 while simultaneously working for General Motors in the Skilled trades. 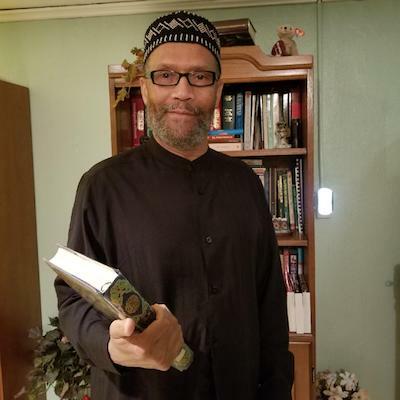 With over forty years experience as an Imam and community activist Imam Shaheed has worked tirelessly to galvanize the various ethnicities that constitute the Muslim community. Imam Shaheed joined the Nation of Islam in 1971 and in 1975 transitioned to Orthodox Islam (Qur’an and Sunnah) under the able leadership of the late Imam Warith Deen Mohammed (RA). It was then that his thirst for knowledge began. Imam Shaheed is married to his wife (E. Nadiyah) of 45 years. They reside in Bridgeport, MI.